Comments: This propeller was likely made for use on a Curtiss OX5 engine, but aircraft usage can not be determined from stampings. 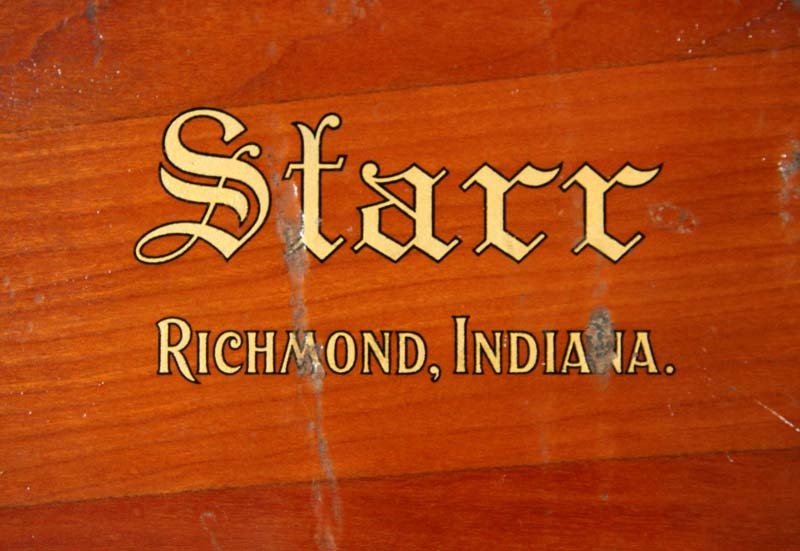 (A likely possibility is the Curtiss JN4, but this can't be proven.) 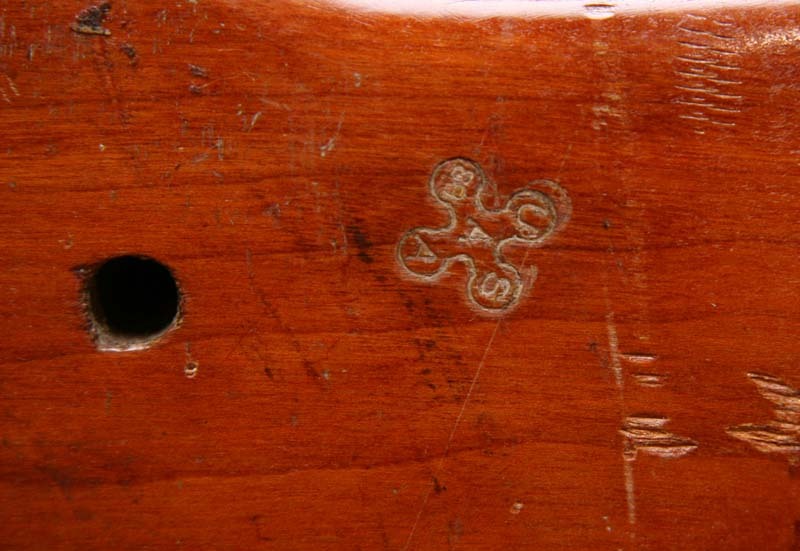 It does have a Signal Corps serial number and the Signal Corps clover leaf inspection stamp. The well preserved decals are on the rear of the blades, however, and that sometimes suggests a pusher configuration. 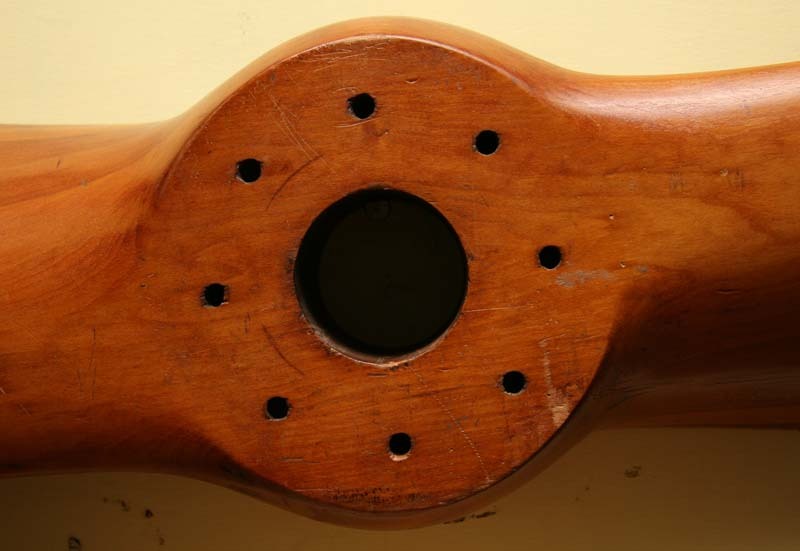 Hundreds of manufacturers took advantage of the U.S. government's need for propellers during WW1, and many furniture and piano manufacturers quickly switched to propeller production. 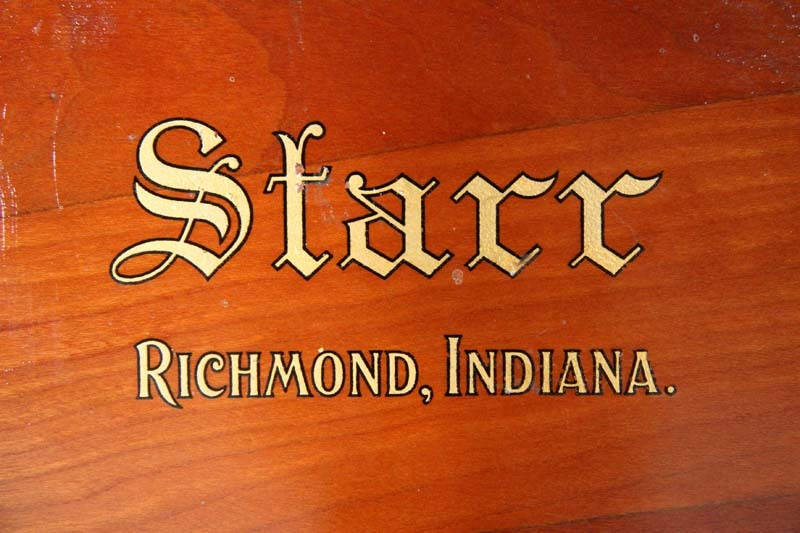 The Starr Company in Richmond, Indiana, manufactured pianos. 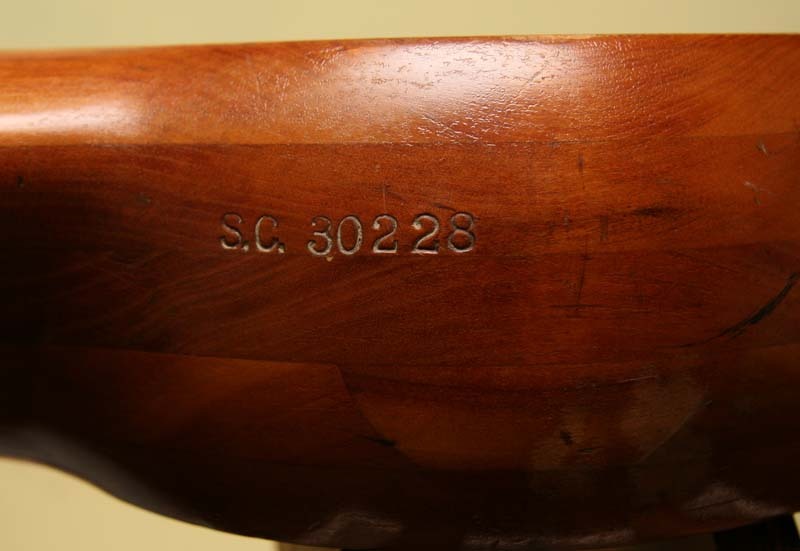 This propeller, using cherry lumber, is in excellent original condition, including the original decals.